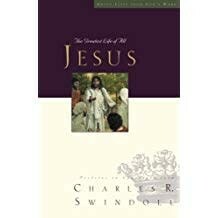 In this ninth and final biographical study in the best-selling Great Lives from God’s Word series, beloved pastor and Bible teacher Charles Swindoll introduces you to the carpenter from Nazareth as you have never seen Him before. 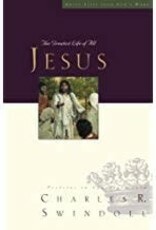 Refreshingly honest and deep, this in-depth profile reveals Jesus with great clarity and offers practical applications for your own life. Whether you’re just curious about Jesus or a longtime follower of His life and teachings, you’ll experience His life in a new way as you join Dr. Swindoll in Jesus: The Greatest Life of All.